Sisters of Invention´s music feels new and is full of personality. There is always a sense of movement, where repetition is rare and the music is more likely to move onwards towards new unheard parts. You can sense a natural musicality in this duo, they put their totally unique touch on everything they create. The name Sisters of Invention describes the band perfectly as they constantly invent new ways to work with music. Sisters of Invention is a innovative, curious and forward thinking duo. As composers they have collaborated with amongst others Bohuslän Big Band. It started in early 2015 when Bohuslän Big Band ordered music from the sisters, they composed/arranged 45 min each. This led to a tour in autumn 2015 and later on another tour in spring 2017. The same spring they recorded an album together, ”En Rymd av Färg” was released in September 2017 under the label Vara Konserthus. 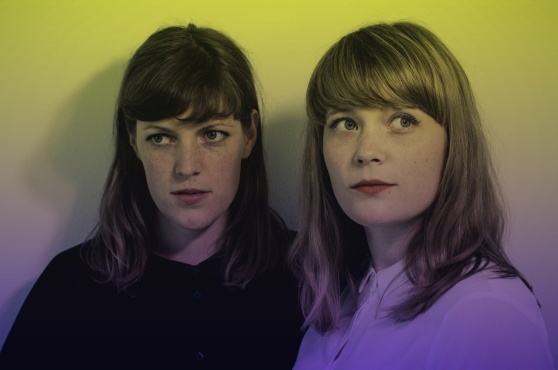 The sisters composed a commission for Norbottens Musiken, in 2012 they wrote 60 min music for Arctic Youth Jazz Orchestra and went with them on a tour in Scotland. They also won a prize as best big band with AYJO at a big band competition in Stockholm in 2013.